All rental payment and deposit will be refunded for any cancellation made by the tenant two weeks before the move-in date stated in the tenancy agreement, however one-thousand ringgit (RM1000) will be deducted on the sum of refund as administration fee. 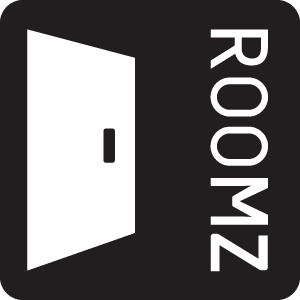 The condition of the relevant accommodation does not match with the information, image and/or description as listed on the Roomz website. The room type of the relevant accommodation is not what was booked and listed on Roomz website. The location of the relevant accommodation is not what was stated at the time of on Roomz website and tenancy agreement. The relevant accommodation is unsanitary and unfit for human habitation. Strictly no early termination of tenancy agreement. Failing which, the rental deposit shall be forfeited as penalty. In the event of EPP (Ezypay Installment Plan), tenant is paying advance rental of 6-month or 12-month by credit card. 2-month rental payment will be served as rental deposit on the total sum received. Any cancellation of contract will be served as termination of tenure whereby 2-month rental deposit will be forfeited, and the balance returned to tenants in full after deduction of the number of month the tenant has stayed. The tenant fails, neglects or omits to check-in on the check-in period. At check-in, the tenant and the tenant’s details do not match the information given to Roomz at the time of the tenancy agreement signing. The tenant refuses to show or provide his/her NRIC or passport for verification purposes at the time of check-in. At check-in, the tenant fails or refuses to pay the relevant rental deposit and utility deposit as listed on the listing at the time of the tenancy agreement signing. The tenant cancels the confirmed booking during the lock-in period*. *Note: Lock-in period means a period of maximum thirty (30) days prior to the check-in date as stated in the tenancy agreement where no cancellations are allowed whereby the deposit paid to Roomz shall be absolutely forfeited if any cancellation is made during this period.